Proper alignment is crucial to the life span of your tires. Not servicing your timing belt can cost you a new engine. Full factory maintenance without voiding your warranty. Utilizing the latest in computer diagnostic tools. Seeking an auto repair shop that offers great customer service and excellent repairs? J1 Auto Repair’s service shop in Lombard, IL is the shop that goes above and beyond for our customers. Our staff are friendly and trustworthy, with over twenty years of experience in auto repair. We strive to provide the best customer service and repairs in the area, and we do so through convenience, customer care, and honesty. No matter if you just need an oil change or have a cracked radiator, we will treat your car like our own and give it the best service in town. If you need auto repair in Lombard, IL, call J1 Auto Repair today: (630) 932-4427. We know how important your car is to you. It is a crucial part of your daily life. 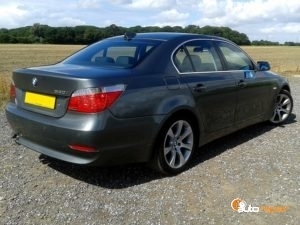 That is why we offer a wide variety of services for all makes and models and expedient but thorough repair. 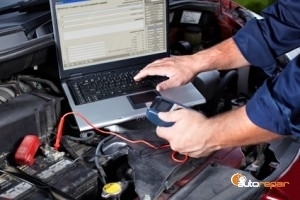 Our auto mechanics are ASE certified and ready to provide service for your car’s needs. We stay up to date on all the latest vehicles and styles so we may best serve our clients. Our goal is to have you become a return customer, so we always strive to meet your needs and specifications for your car. After inspection, we will discuss any apparent issues with you and get your authorization for repair, always keeping you in the loop on your auto repair. No matter what, you come first! Have a Hybrid car? With these types of cars, it can be difficult to find an auto repair shop to assist. These are also extremely dangerous to work on in the confines of your home. Their high voltage can lead to inadvertent shock and personal danger. J1 Auto Repair specializes in this style of vehicle and have the latest equipment to service any problems you may be experiencing. Our shop stocks parts and equipment for servicing hybrids and can always troubleshoot any problem that may arise unexpectedly. When it comes down to it, we are your one stop full service shop in Lombard, IL. Give us a call today at (630) 932-4427 for your auto repair and let us show you why we are the best! When repairs become necessary, your auto repair shop should be there for both you and your car. We understand some repairs can be costly and seem unnecessary. Any damage to a car can be dangerous, so we urge our customers to have their car brought to the shop as soon as possible for their safety. To help and give back to our customers, our shop offers discounts and coupons to assist with any repair price. Sometimes it is too dangerous to try and drive your car to the shop. For these instances, we offer not only towing service, but a shuttle service for you as well. Our auto mechanics will get you to your home or work, so you can go about your day while we complete your needed repairs. Our repairs have a two year, twenty four thousand mile warranty and all are listed on CarFax reports. These are only some of the ways we make your auto repair all about you. Don’t just take our word for it though! Check out what our customers have to say as well. Contact J1 Auto Repair at (630) 932-4427 today for auto repair in Lombard, IL. No matter what size repair your car requires, J1 Auto Repair can complete it! Our auto mechanics are experts within their field and can work on any make or model of vehicle you may have. When your vehicle is in need of service, you need a mechanic you can trust to get the job done correctly and quickly. We do just that. If your car cannot make it to the shop on it’s own, we offer towing services. We provide a wide variety of repair services for Lombard, IL. Here are some of our most popular. No matter what the repair, we have got you covered. Our shop only uses the best and latest equipment to make sure your car receives the quality and repair work that it deserves. Our team maintains ASE certification and set out to provide the best customer service in the area. Whether you need a new engine or just a quick tune up, you can always rely on J1 Auto Service to treat you and your car like one of our own. 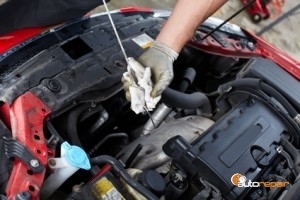 Call (630) 932-4427 for J1 Auto Repair mechanics to begin your auto repair in Lombard, IL today! Hybrid cars are a fantastic way to lessen your carbon footprint on the environment. They show that you care about the world we are living in and leaving to our children. When your hybrid breaks down, it may be difficult to find the correct auto repair shop, let alone one that services hybrids. That is where we come in. 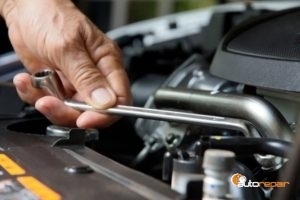 J1 Auto Repair specializes in hybrid car auto repair and service in Lombard, IL. We know your hybrid car is important to you and when it is in our shop we treat it like our own. Our services are available for both mild and full hybrid vehicles. The most sensitive areas of the vehicle are the voltage inverter and the battery. It is highly dangerous to try and replace these at home due to the voltage the vehicle itself has. Our auto mechanics use state of the art tools and safety equipment to get your car back up and running. Let us show you why we are the best in hybrid car repair. Call J1 Auto Repair today at (630) 932-4427 for your hybrid car auto repair! Posted on August 19, 2014 by J1 Auto Repair.